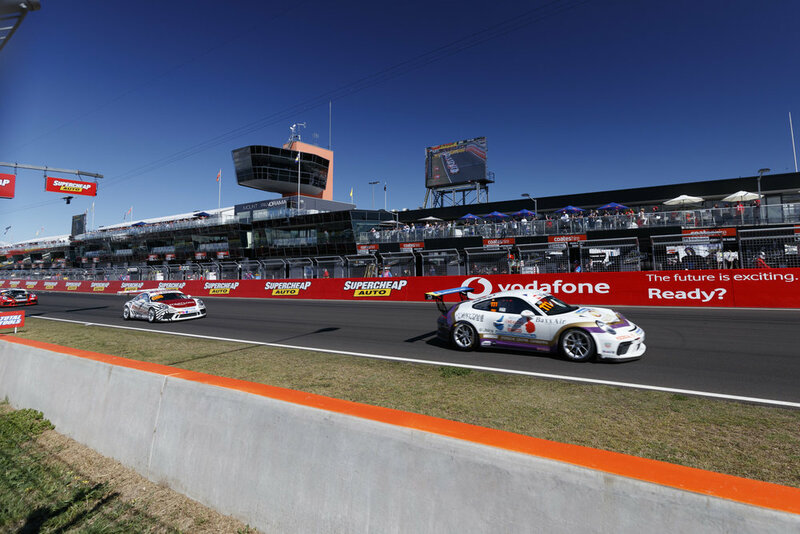 Cameron Hill has scored his maiden Porsche Carrera Cup podium finish at the biggest event of the year, finishing third overall in Round 6 of the series at the Supercheap Auto Bathurst 1000. Hill finished fourth in all three races, earning enough points to take home a top-three result from the season’s most prestigious race meeting. In this morning’s race – held as a curtain raiser to the famous 1000km Supercars endurance race – the Canberra driver also set his fastest-ever lap around the world-famous racetrack. Hill recorded a 2:06.8 lap time in this morning’s third and final Carrera Cup race, the fourth-fastest lap of the weekend, on his way to another fourth-place finish. The Canberra driver said it took maximum commitment to extract such a rapid lap time. “All the way over the top of the Mountain, I was right on the limit,” Hill said. “Once I got to Con-rod Straight, I had to remind myself to breathe! Hill said the podium finish was a well-deserved reward for the team’s progress since the start of the season. “When we stepped up to Carrera Cup, it was a massive learning curve for me as a driver, and for the team to run the car. “The fact we’re now able to run with some of the leading contenders is a credit to everyone’s hard work and never-say-die attitude. “Of all the rounds to have such a good result, this is definitely the one to do it at – the biggest and most prestigious event on the Australian motorsport calendar. “I’ve had some tough times at Bathurst, especially last year in the Toyota 86 Series, so this feels very sweet,” Hill concluded.